Take a step back in time to the untouched beauty of the Belizean sea. This trip offers an exclusive island adventure far off the beaten path of your everyday traveler. 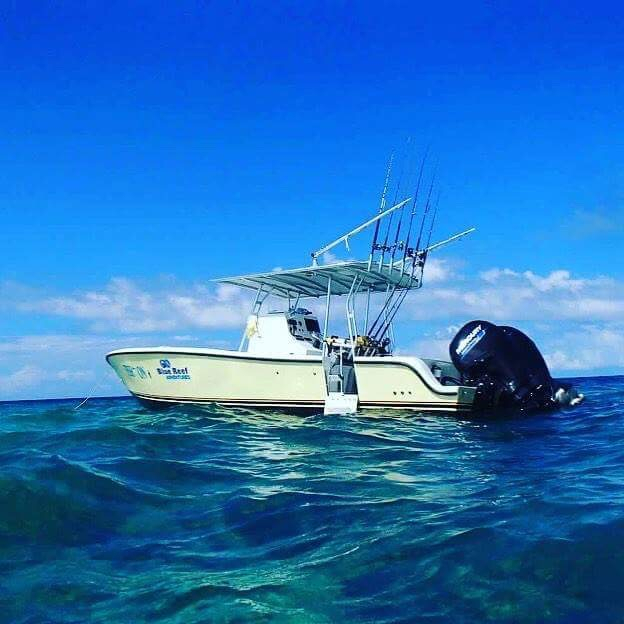 Located off the southern coast line of Belize, you can spend your days snorkeling, diving, and fishing to your hearts content. You can free dive for lobster and conch when in season (season opens mid-June), and try your hand at spearfishing for lionfish. After catching many of the migratory fish always present in the area you can swim with the Whale sharks, wild dolphins and pilot whales year round. Catch and release the giant sharks in the deep blue or catch the huge snappers, groupers, and schools of Mahi Mahi that frequent the surrounding ocean. Trolling the seafloor you will have a chance at a vast variety of underwater creatures including the massive amounts of aggressive barracuda, wahoo, and tuna. Try casting for the hard fighting bonefish or the allusive permit. Relax in hammocks while enjoying the sunset horizon view before you feast on your fresh caught seafood and local cuisine. Enjoy our remote island with your friends and family to a maximum occupancy of 8 people. Included in this package: 1 night mainland, 4 nights remote island paradise, lodging, fishing, diving, snorkeling, guides, meals, transfers, and local rum and beer. Not Included: Airfare, Friday overnight stay in Placencia, and tips. Your trip starts with your Sunday arrival in Belize City airport; you then will catch a short flight to Placencia where you will spend the night. Monday morning you will be met and transported to the island where you will stay 4 days Monday to Thursday enjoying all of the items mentioned above. You will so some fishing Friday morning and depart back to the mainland for an overnight stay before returning home.